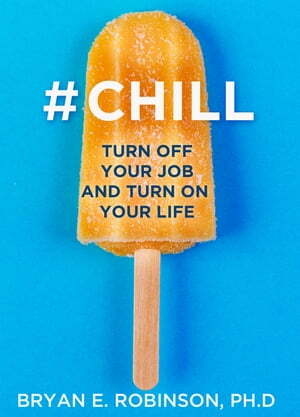 Collins Booksellers - #Chill: Turn Off Your Job and Turn On Your Life by Bryan E. Robinson Ph.D., 9780008318611. Buy this book online. Discover a new way to face work/life challenges, build resilience and learn how to turn roadblocks into stepping stones with these daily meditations. These 365 meditations are designed to support those of us struggling with work/life balance and work addiction—many of whom have demanding full-time jobs, children, marriages, and household obligations—juggling pressures from careers which expect optimal performance. As we navigate these sometimes tumultuous ups-and-downs, #Chill encourages us to step back, take a breath, and imbibe a tried-and-true message geared to widen our resilient zone and free us from the clutches of work/life woes: an impossible deadline, a hard-boiled boss who has no empathy, self-imposed pressures to hurry or perform, anxiety to get it all done, emotional pressures from family members, and the seismic rumble of our own self-doubt.Dr. Robinson describes himself as having once being a chain-smoking, caffeine-drinking work junkie, dogged by self-doubt with no close friends. His colleagues were breathing down his neck and didn’t really appreciate his hard work, at least that’s what he told himself. His memory got so bad members of his family wondered if he was developing early onset Alzheimer's. He scoffed at the idea of work/life balance, yet he couldn't stop working. He joined Workaholics Anonymous, entered therapy, and stumbled into yoga and meditation. But what ultimately brought him through the ordeal was the practice of meditation—present-moment attention to his feelings and a compassionate, nonjudgmental connection with himself. The practice enabled him to climb out of the work stupors into a saner life.